Wigwam Best Seller! 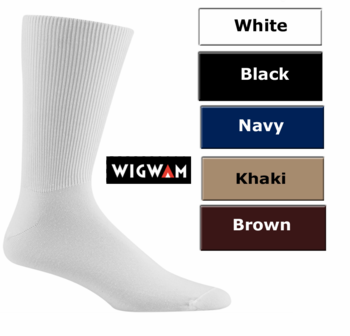 Wigwam Diabetic Ultra Light Walker Crew Length Socks provide the best technology to keep active people's feet fresh, dry, odor control, and feeling rejuvenated with advanced technology 65% Tencel (88% Polyester, 12% Tencel) and 35% Nylon, in these very comfortable Diabetic Walker Socks. These Ultra Light socks offer a non-binding fit, crew length, and in so many colors, it is no wonder this is such a popular sock. Wigwam has done a wonderful job making these socks with the finest of natural and man-made fibers. 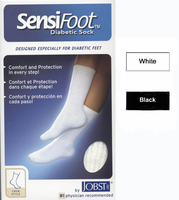 These soft, moisture repelling yarns have a relaxed fit to help your feet stay active and feel great all day. 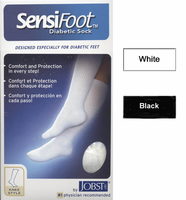 Put on a pair and discover your favorite pair of socks. . Available in sizes from Medium to X-Large (see size chart on light green tab in center of this web page for best fit). 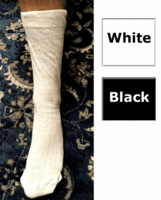 This sock is accepted by the American Podiatric Medical Association.